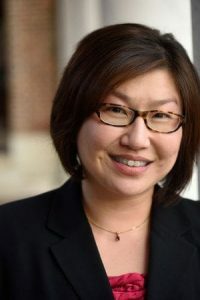 Congratulations to Professor Erin Chung! Professor Chung’s research team (consisting of 7 scholars in the U.S. and Australia) was awarded a 5-year grant for US$1.3 million from the Academy of Korean Studies (AKS) for a lab project on “Local Agency and National Responses to Globalization: The South Korean Case in Comparative, Transnational, and Diasporic Perspective.” This grant will provide research support for the completion of her third book project on “Citizenship, Social Capital, and Racial Politics in the Korean Diaspora.” The grant period is from 1 August 2018 to 31 July 2023. The grant comes out of the Korean Studies Promotion Program (KSPS) in the Academy of Korean Studies.